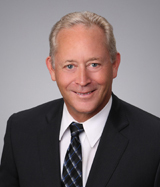 Mark Miller represents clients in virtually every aspect of the real estate process. His primary area of expertise lies in the acquisition, leasing and disposition of office and commercial properties. Mr. Miller has established roots and extensive contacts in his commercial real estate career in the Glendale, Burbank and Pasadena markets. While obtaining his degree in business from San Diego State University, Mr. Miller was involved in the sale and acquisition of residential and investment properties.